The International Blaise User Group (IBUG) is an informal group that brings together people and organisations who use Blaise software in survey data collection and data processing. The purpose of IBUG is to promote the use of the Blaise software and to serve as a forum for discussion and exchange of ideas and experiences. IBUG has a chairman but no other officials. The IBUG was founded at the first International Blaise User Conference (IBUC) in 1992 where Tony Manners (ONS, UK) was selected as the first chairman. The second chairman was Vesa Kuusela of Statistics Finland 2001-2009. The third one was Hilde Degerdal of Statistics Norway. 2009-2016. The current person chairing the group is Gina Cheung of University of Michigan, SRC. The most visible activity of IBUG is a conference which is organised roughly every 18 months and which currently alternates between Europe and North America. The 18th conference will be in the Washington area in the spring of 2018. The first IBUC was held in Voorburg, The Netherlands, in 1992. 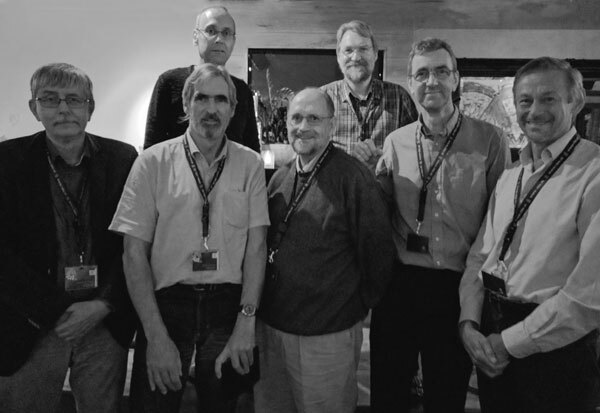 Jelke Bethlehem, Kevin Sweeney, Lon Hofman, Mark Pierzchala, Leif Bochis Madsen, Peter Stegehuis and Sven Sjodin, attended the first IBUC in 1992 as well as the 17th one in 2016.